Today was the Ct Sheep and Wool. It’s not very large, but it does have a some good selection…can you believe I went most of the day without buying yarn?? I know! Unbelievable! A festival t-shirt and Rowanwood soap. I got six Rowanwood soaps, all but one a new scent and my t-shirt in aqua this year….and off I went…. I perused for a bit until my friend Laura showed up with husband, Jason and daughter Jade. Jason and I have a good time and talk geeky shows: Dr. Who, Torchwood, A Game of Thrones, etc…Laura and I went shopping, and she bought yarn before I did!! Isn’t it adorable???? It’s a bit big, but plenty of room to go! Tallulah, an angora goat walking around on a leash. There were some kids too. A baby Angora and a baby Nigerian Drawf. We also watched some sheepdog trials…. These sheep didn’t want to play, so they jumped the fence and ended up here. I mentioned this in the Great Rhody post. Well I saw it again and again loved it. The Hubs loved it when he saw it in RI, so I bought the kit….I don’t have the skillz yet for it, but someday…..
One of the reasons that they go is her daughter Caitlin dances in the World Irish Dance Competition. This year she placed 29th…Woohoo! She also took a zillion pictures…look some Irish wool! Maybe this sheep was used in the making of my wool…..
And her wearing the cowel I made! In Ireland! Almost like I was there, but not quite! Someday maybe…..
I’ve been taking my camera with me. Last week I started taking pictures of some of the old houses around here….but today I went to the park and I swang (??) on the swings…. My new Sketchers…had to replace my old ones when I realized they had a hole in the side. I love me some Sketchers! Look at those white legs! The best part of today? I received some genuine Irish yarn!! My bestest bud was on the lookout for me last week….Look at these beauties! The top two are from the Blarney Woolen Mill and are HUGE! I have no idea of the yardage….The last yarn was bought in Dingle and are a superwash. The first two are very sheepy smelling…Deidre said that is what Ireland smells like….all over….like sheep. So during my vacation week, I also finished this sweater. It is actually the second sweater for this little boy. I had made him a sweater when he was born, but come the time to wear it, it was too small. Sweater on the right is the first one. The sweater on the left is the new one. My friend really liked the buttons, so I cut them off of the first sweater to put on the second sweater. They were both thrilled when the sweaters, when I gave them to the Moms this morning…. And, oh yeah..I’m back at work…8 more weeks…. 4. Put away some winter coats....this is a chore, as I have to move a big basket of yarn and all the stuff on top of it.....also took out some of my springier purses...pink anyone? 5. During the moving of said basket found a huge box of sheet protectors, damn just bought some new ones last week! 12. And that was my day! Exciting, Huh? 15. 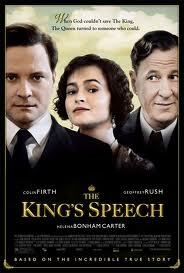 Tomorrow need to add to my Colin collection, as The King's Speech came out and I get paid! I don’t normally follow these, as I’m usually at work…but since I am on vacation this week and crafting frantically to finish a few projects, I thought I’d share! Another sweater for a young man. I made this previously, but it was too small by the time winter came around. So I am remaking it. My knit project is “A Breath of Fresh Air” scarf by Debbie O’Neill for the February Loopy kit….I love this yarn. It is The Alpaca Yarn Company Paca-Peds in Promise of Spring. Now to go button shopping and shopping for a sink-puller-outer-yucky-stuff. Then back home to clean a bit and then craft. I may stop at the gym too…. On Saturday I embarked on my second sponsored yarn crawl. This one across the state of Rhode Island. There were 15 stores participating. I only made it to 6, but still did some damage. The Hubs said I was varied this time, not all yarn…The Hubs went along to try and nab some fresh seafood, specifically clams…. The first shop was Knitwits in Westerly, RI. I purchased a pattern book from Classic Elite, yarn and some buttons….They also had alpacas outside. Very friendly shop, small but had plenty of variety…plus they gave out cloth bags with the purchase…great new project bag! Then we moved on to Eneri Knits in Exeter. Great open store…I didn’t purchase any yarn, but got a new Namaste bag….I can use this one as a purse, instead of a project bag…that’s my fourth Namaste….trying to get them in all the colors! They had a good selection of yarn, but it was mostly stuff that I can get locally….but love my Namaste…and they had Alpacas outside, too! Plus I got lots of comments on the hat/mitt set I was sporting! Then we headed to Warren and went to Bella Yarns…great, friendly store! I liked this one a lot….there were two people working (I think one was the owner) and they were very friendly and knowledgeable and “crochet-friendly.” It said so in the window……Here I did some damage and bought two skeins of Mountian Colors Crazy Foot…one in the “clown barf” colors that the Hubs is so drawn to…I also got a Zauberball. Last, but not least was The Knitting Corner and Beadery. To be honest, I was a little yarned out by this time….I also could have done some damage in the bead room, but restrained myself. Very friendly store! Owner was great and from what I understand was opening on Sunday, even though she usually was closed….Here I got some needles I needed for the bag pattern and another Zauberball, why? Because I forgot I had gotten the first one! Same colors! Different lots! Oh well! The next day was the Culminating Event! We got there at noon, after realizing my GPS, Stella, sent us the wrong way down the street. It was in a great old textile mill that is now a museum (I used to work in one of these mills!) We didn’t do the tour, but I may go back…. I also ran into Stitchy McYarnpants….I had met her at Rhinebeck and played Rhinebeck Bingo with her, but of course she didn’t remember me…. (lots of people at Rhinebeck!) But did get a really cool alien project bag from her! I love her retro stuff….but it’s not always something I would use…but I think it’s fun…. The only yarn I purchased was from Play at Life Fiber Arts. It was cool looking and I kept going back to it. There were some great artisans there. Serendipity Needles had some really cool needles. If I was better at knitting, I might have gotten some…. I loved this kit from Dirty Water DyeWorks. If my skills were better, I might have purchased it. Plus the Hubs was drawn to it too….I have bought items from her in her previous business as Dye Dreams….maybe if she’s at Rhinebeck this year…. And yes, The Hubs got his clams! We ended up back in Connecticut at The Sea Swirl in Mystic. Play Ball! Or Just Eat!